WITH PLENTY OF SIMILAR DEVICES ? SELECTING THE RIGHT ONE ? A single B.C.U. allows easier selection and drastically reduce complexity in terms of engineering, wiring, commissioning, testing and maintenance. QBK is a major step forward in terms of performance, simplicity, reliability, safety and cost effectiveness. All-in-one aluminum enclosure specific for industrial use, suitable for permanent operation for the supervision of gas, oil and mixed burners. TraxBus is a proprietary fieldbus developed for harsh environments: instead of running individual cables, control of hundreds of distributed remote devices is made through a 2 wire line (no special cables required), with free topology or over electric busbar. It's simple. So simple, you'll wonder why you didn't use this solution until now. 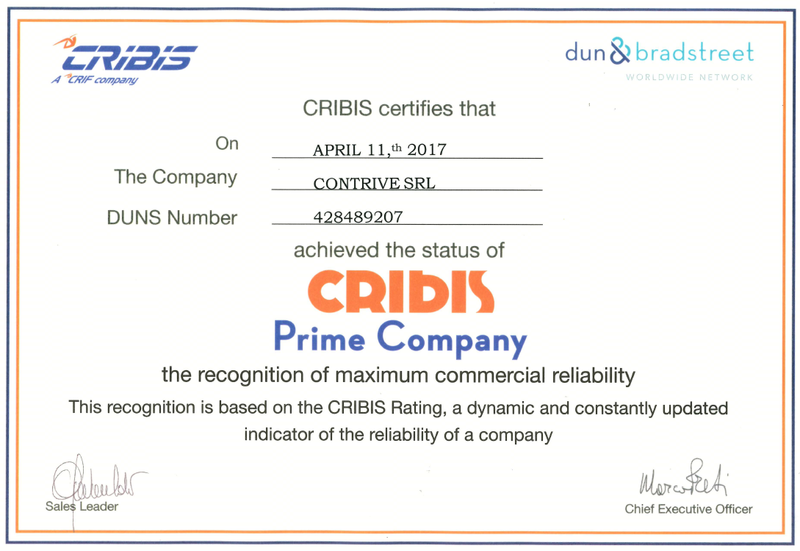 CRIBIS is a highly specialized company with advanced business information skills. It was set up in 2009 with the aim of providing both the Italian market and D&B's global clients with the highest standards of quality in terms of business coverage, the depth and accuracy of information, the technological capacity and flexibility to respond quickly to market demands, as well as in the provision of decisional systems, and scoring models. Assigned to only 3% over more than 6 million Italian companies, this recognition is the highest reliability level issued only to virtuous companies. This important recognition represents a guarantee for all partners.